The latest release on Manual Music’s MNL offshoot finds One Opinion returning to the label for a brand new single. Perhaps better known as Peter Makto & Gregory S, One Opinion hail from Hungary and head up the Truesounds Music imprint. It’s been almost two years since the duo appeared on the Dutch label and they’ve returned in style with ‘Bright Matter’ alongside a remix from Erich Von Kollar. The original mix comes out strong and with a great dance floor sensibility. Tough, driving and loaded with cool hypnotic qualities it reaches a short break where some rhythmic hooks get dropped in. It’s proggy vibe is sure to appeal to that crew but it’s not miles away from something a tech house DJ could play either. It’s a pretty versatile sounding production and it never gets too epic or melodic, particularly during the break which makes for a great club record all round. Wicked stuff from One Opinion. The lone interpretation is provided by Erich Von Kollar who is making his first appearance on the label. As one of the Stellar Fountain label bosses Erich is also one of Hungary’s most recognised progressive house talents. Fresh off a remix for Massive Harmony Records Erich takes ‘Bright Matter’ into deeper, more melodic territory. Prominent bass tones, a catchy arp and ethereal synths stand out during a groovy first act. It’s following a well constructed break where the magic really happens with indistinct vocals, bouncy lines and most of all a strong tonal theme which carries the track home. 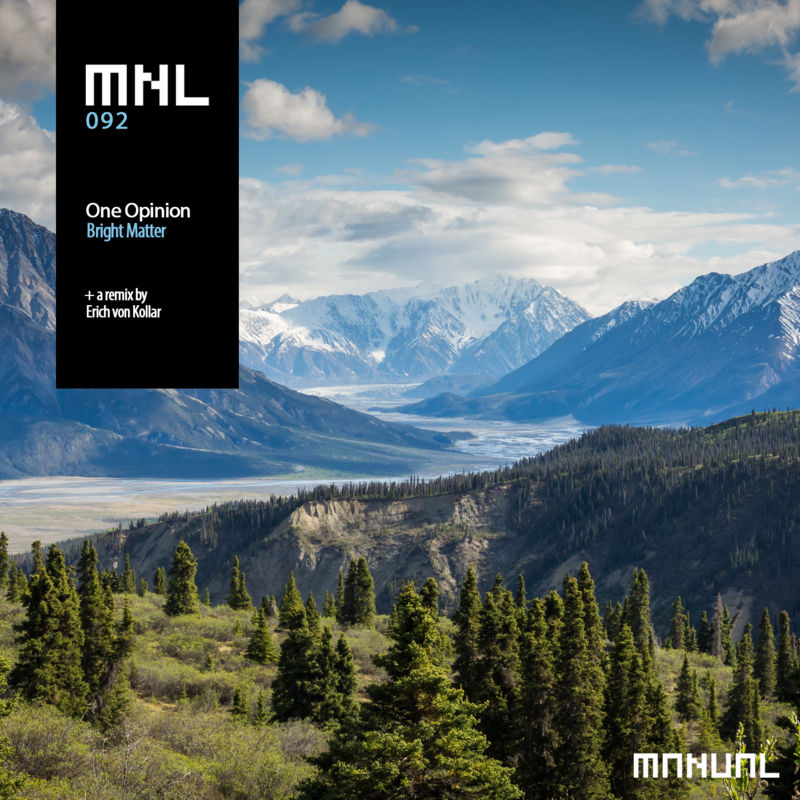 Beautiful remix from Erich and a great release from Paul Hazendonk’s MNL. Highly Recommended.